I'm so happy it's Spring Break, it means I get lots of stamping time! 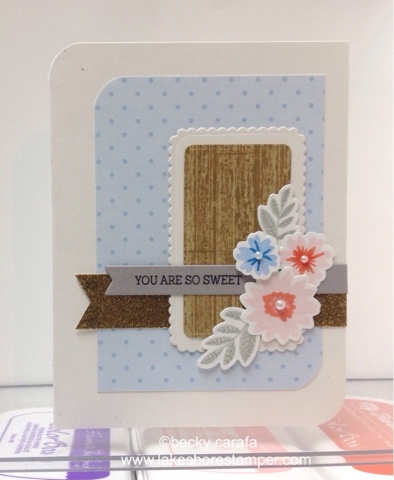 This week's sketch uses Mini Modern Blooms and the sentiment is from Donuts and Sprinkles. This is such a pretty card Becky!